My Mum always loved to have flowers in the house, and as I grew older I understood why. It doesn't matter what the weather is, or if you have had a bad day, walking into a room with flowers in it undoubtedly cheers you up instantly. With Valentine's Day not far away and Spring on its way (hurrah! 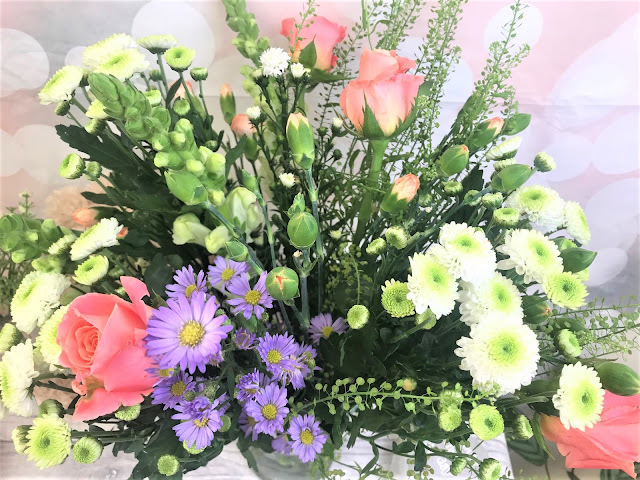 ), the lovely, lovely people over at Prestige Flowers kindly sent me one of their new bouquets - the Country Pink bouquet. When ordering through Prestige Flowers, not only do you get a wide variety of bouquets to choose from, you also get to choose the amount of blooms within each bouquet, so they have a Standard, Medium and Large option, adding £5 and £10 per bouquet respectively. 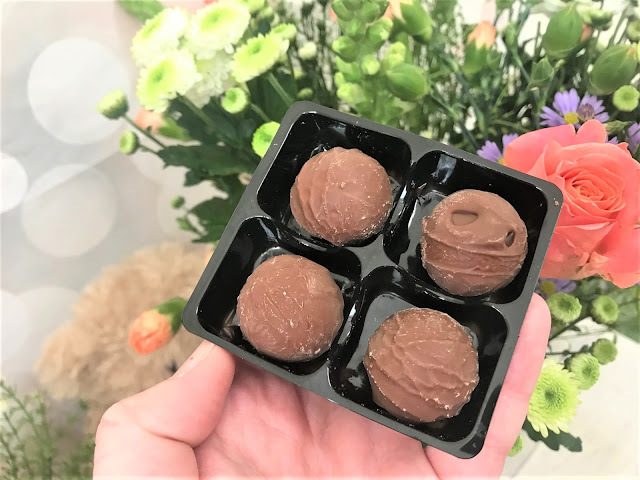 With each bouquet, you also get complimentary Premium Flower Feed and a box of four handmade chocolate truffles. Prestige Flowers also have a huge range of additional items you can include within your bouquet, such as teddy bears, helium balloons, vases, alcohol, birthday cakes along with seasonal items, which are currently Valentine's Day themed. 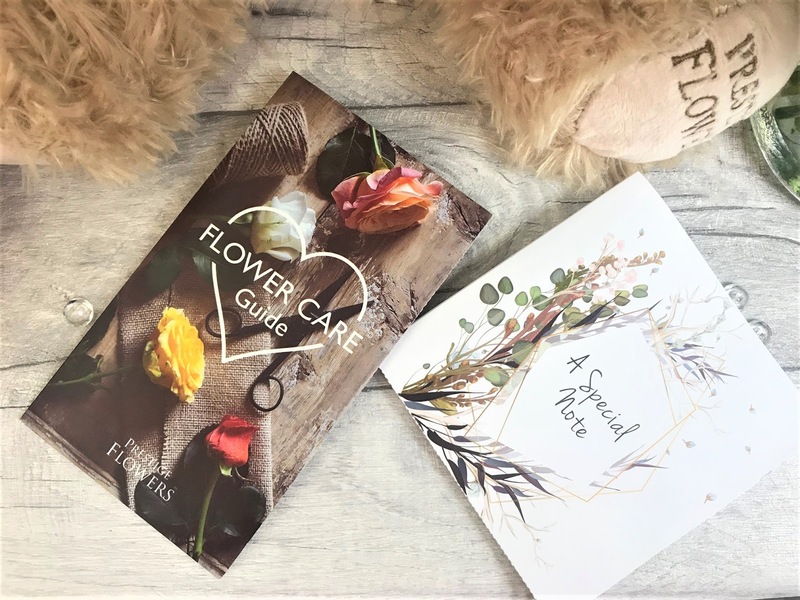 The flowers come wonderfully packaged, so every bloom and bud stays in tact, and inside you will also find a Flower Care Guide plus the option to include a little note if the flowers are for someone else. Yes, that's right, I said someone else because self-care is so important and I have sent or bought myself flowers plenty of times, and there's no shame in that whatsoever. 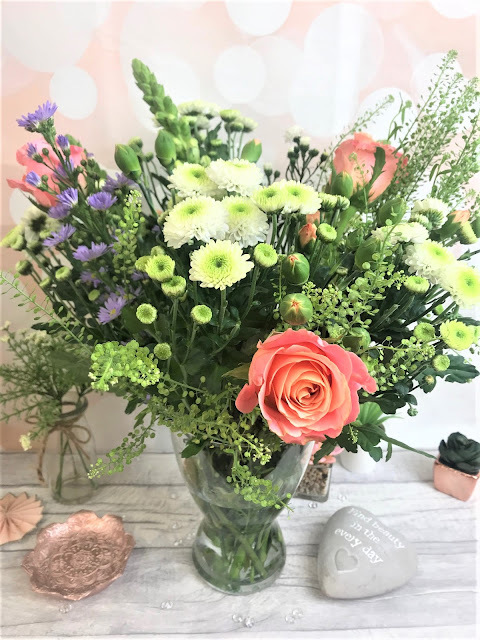 Okay, so on to the Country Pink bouquet itself...you will find pinks, lilacs, peaches, creams and more within this beautiful bouquet, making it the perfect Spring-time arrangement. Prestige Flowers' expert florists created this wild country bouquet using a variety of blooms including Dutch Coral Roses, Peach Spray Carnations, Snapdragons and Thlaspi. You don't 'just' get the flowers though, they also include pretty foliage too which I think really completes the bouquet. 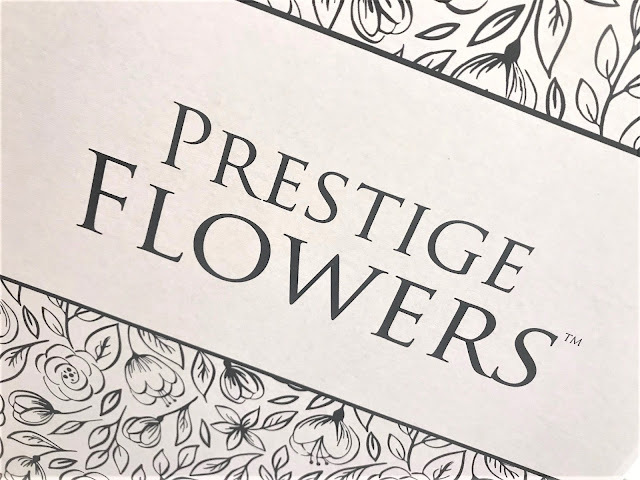 If you are a last-minute Larry, then Prestige Flowers offer next day delivery as long as you order before 10pm, which I think is absolutely incredible and I am sure this service gets used frequently for last minute Congratulations or Condolences flowers. 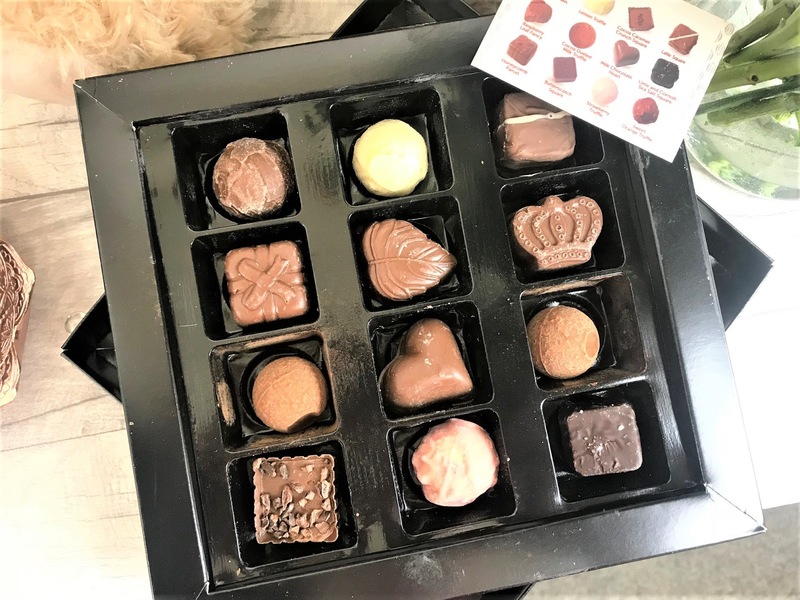 They have a great way for you to find what you are looking from, and you can choose from the amount you are wanting to spend, or the occasion the flowers are for, as well as choosing from cheaper bouquets right through to haute and luxury flowers. The options really are endless here and you can create pretty much whatever you can imagine. 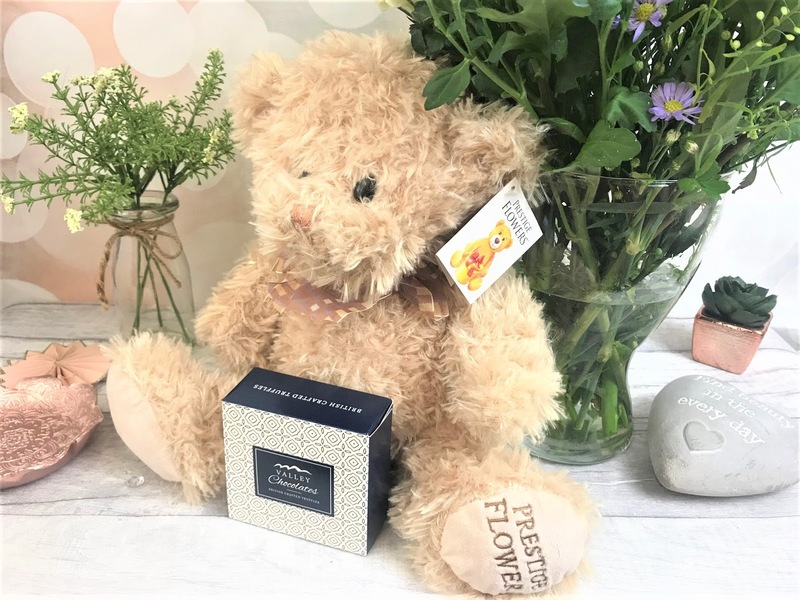 The Prestige Flowers Country Pink Bouquet starts at just £22.99, with the teddy bear costing just £6.99 and the luxury chocolates £6.49 and you can find them online at Prestige Flowers.